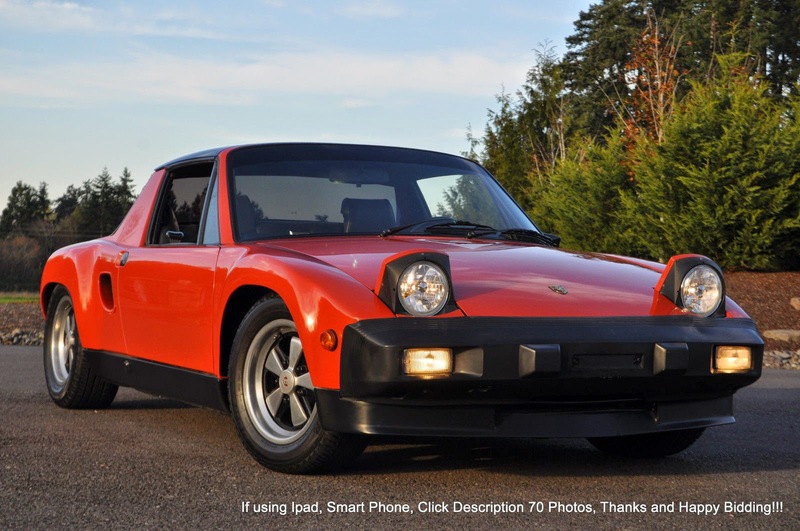 The Porsche 914 was originally conceived as a dual purpose range topping Volkswagen and low-end Porsche, but in the end, only Porsche sold them through its dealerships. The little corner carver has an excellent seating position and telepathic steering, but has always lacked in forward thrust -- even the limited edition (and pricey) 6-cylinder version is a bit of a dog. 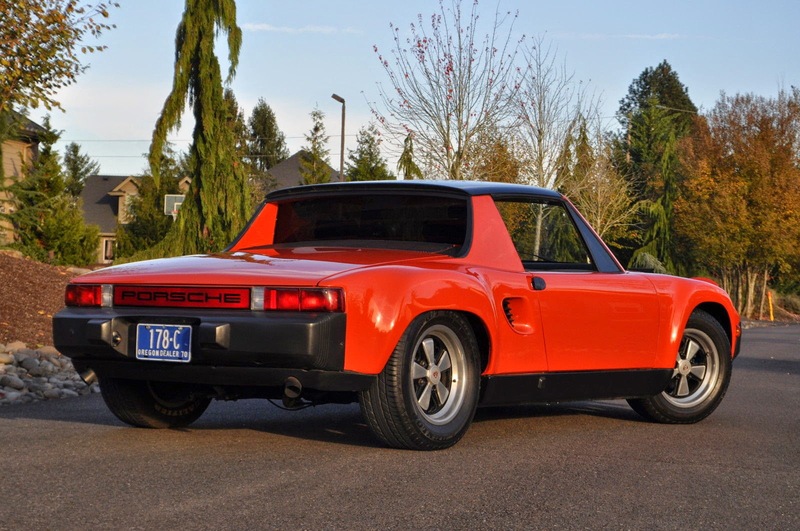 Throw all of your preconceptions out the open targa top because this 1970 Porsche 914-8 offered here on eBay , currently bidding for $13,634 with 4 days to go, is wicked. This isn't just a case of someone shoehorning a small block into the car in a weekend, the entire vehicle is customized. Front suspension comes from a similar vintage 911 and all 4 wheels now have 5-lug rims with larger brakes and wide Fuchs alloy wheels. The wheels fit nicely under custom flared fenders and the only questionable choice is the use of rubber bumpers from a later 914 to replace the original chrome pieces -- but it does match the de-chromed look of the rest of the vehicle. The builder has replaced the standard vinyl targa top with a painted version (or refinished it? ), and removed the stock black B-pillar plastic molding. The execution looks really good in the pictures and the interior looks well preserved/restored as well. I almost missed the custom side vents under the B-pillar because they look perfect. 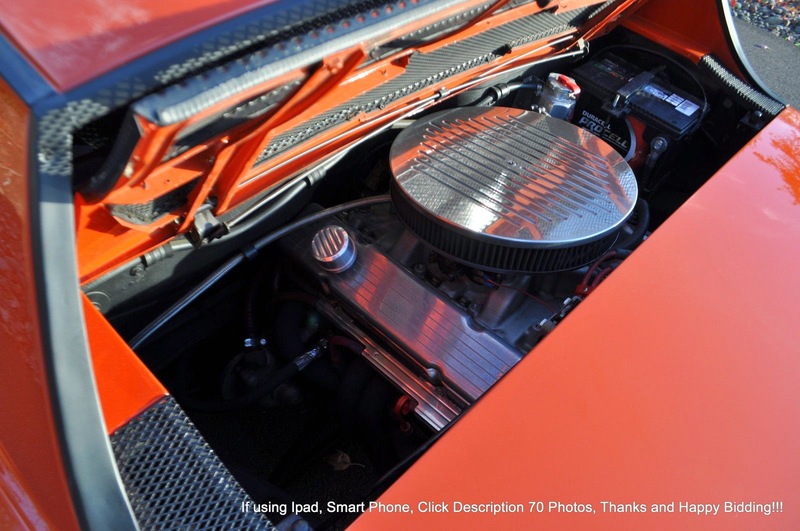 In place of the original VW sourced flat-4 is a Chevy 350 cubic inch (5.7) liter V8, fed via a carburetor and good for something around 350 horsepower. 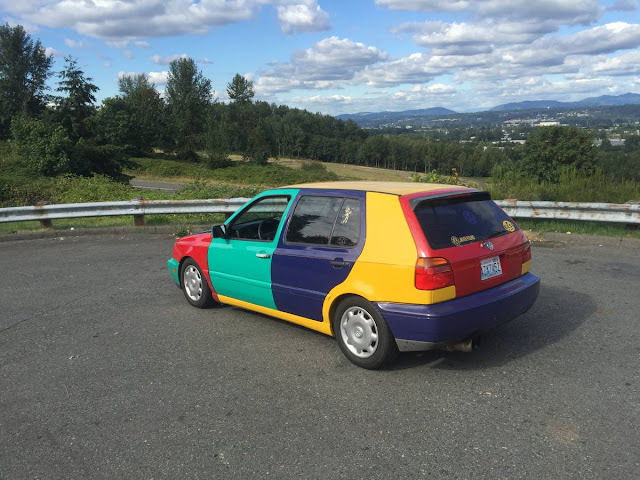 The current seller didn't build the car -- it is blue oval ranch, a mom & pop eBay car seller out of Salem, OR. 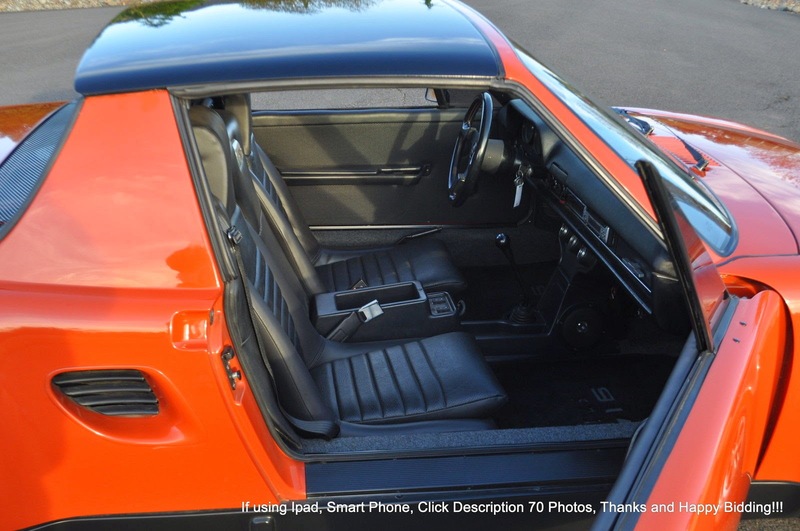 One thing is for certain, the seller knows how to sell a car. No bad LSD trip style HDR images or ALL-CAPS RANDOM FONT COLOR nonsense -- miles of well taken pictures and a very detailed description written in comprehensible prose. The original builder, on the other hand, knows how to build a show car. Checkout the silk screened inscription on the radiator shroud that works as an instant (just add water...and pop the hood!) build sheet. Perfect for the casual weekend cars and coffee - pop the frunk and you'll get the attention you've been missing from your family, co-workers, et cetera. Images from eBay seller BlueOvalRanch . Just found this video from when it was for sale last year by a seller who didn't seem to know much, or unable to express much, about it. Lets it idle during the whole video, then blips the gas and parks it..instead of driving it off for the camera. Note to flippers (or budding car salesmen), always get to know the car you're selling ....before you try to sell it! Something tells me the buyer of this car got a great deal! The best part of this video is at the very end as he does show the little paint flaw by the driver's front fender. It hasn't gotten worse in the past year. For all that is right with this car I am confused by the rear fender vents being different, one is flush mounted and the other has a half inch protrusion like they were yanked from different parts cars but look close enough. I would love to have something like this with an LS1 and a beefy Porsche transmission, sorted out as a hpde/autox car. I think this one was built as a show car cruiser and nothing wrong with that at this kind of pricing. Cool car. It's pretty easy to drop a SBC into a 914, doing it so that you have a car that won't break is a little less easy. Ideally you want an engine that is rev happy but doesn't have a lot of low end torque , not what most 350 crate motors provide. Otherwise you need a very expensive transmission upgrade.